Very Good. Trade paperback (US). Glued binding. 969 p. Contains: Unspecified. 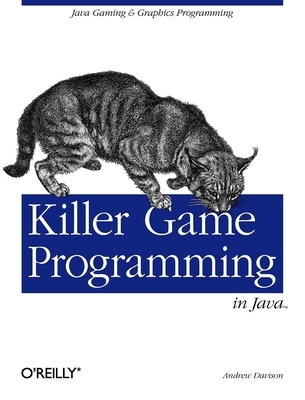 This comprehensive guide has everything you need to program Java games. It offers the most thorough coverage of Java 3D available, and clearly details the older, better-known 2D APIs, 3D sprites, animated 3D sprites, first-person shooter programming, sound, fractals, and networked games. Great book. However, it goes too long about time resolution. I would have discussed this in an appendix section and let the reader sails smoothly through the book.